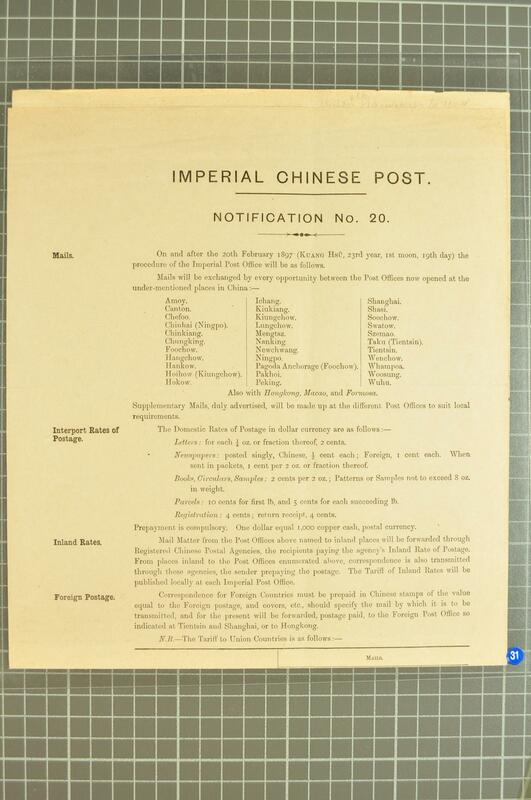 1896: Postal Notice, 230 x 520 mm., headed "Imperial Chinese Post / Notification No. 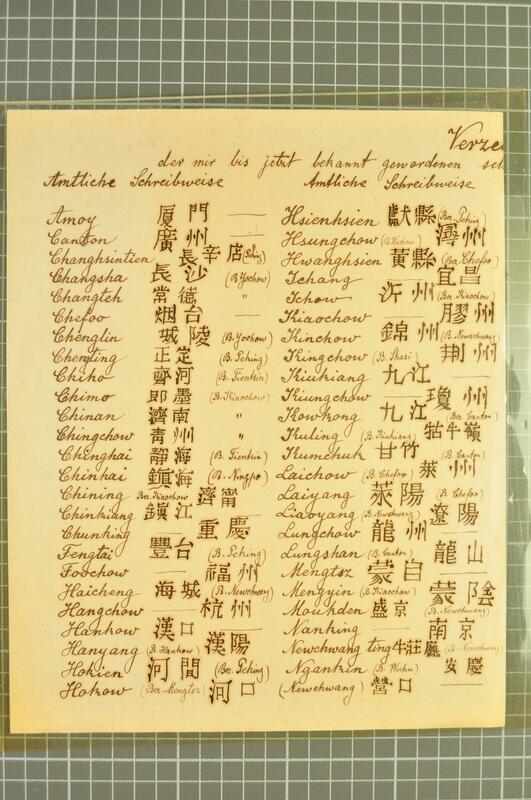 20" detailing in alphabetical order the opened Post Offices from Amoy to Wuhu with additional Offices of Hong Kong, Macau and Formosa; listing the domestic inland rates for letters, Parcels, Books, registration etc., and Foreign rates to be paid by Chinese stamps which have to be applied equal to the value of the foreign stamps used (for combination covers). Further listings of Private P.O. boxes, Business Hours, Deliveries, Inquiries and complaints. 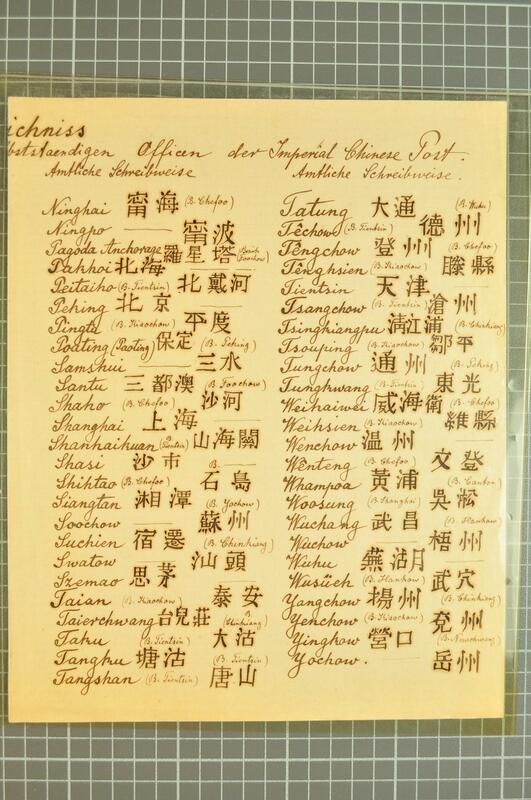 Dated at Shanghai, 17 February 1897, signed off by H. Kopsch, Postal Secretary, together with a probably contemporary listing of the Chinese Post Offices with English spelling against the Chinese characters, all in beautifully scripted manuscript. Both folded but rare.